"The 2015 Mini Cooper is a vehicle that has the ability to wake you up in the morning. It is a car that we buy first and foremost because we like to drive and we are passionate about cars, and really because we want something that stands out and ..."
The 2015 Mini Cooper is a vehicle that has the ability to wake you up in the morning. It is a car that we buy first and foremost because we like to drive and we are passionate about cars, and really because we want something that stands out and that is different. Since the rebirth of Mini more than 10 years ago, the brand has established itself outside the realm of traditional small vehicles by offering a level of driving dynamics that is unmatched by the competition, and all of that wrapped in a beautifully-styled European package. 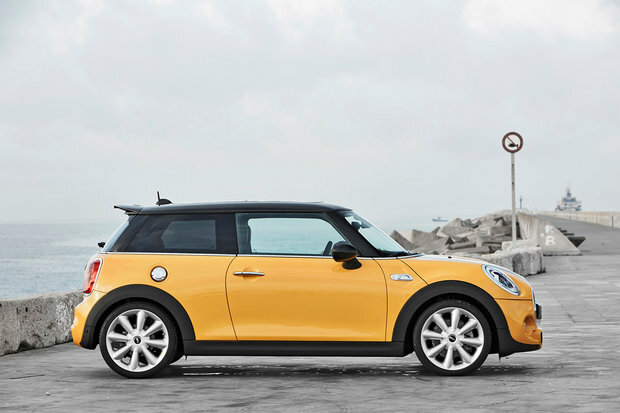 Mini owners will not be surprised by the following list of things to love about the Mini Cooper. That said, if you have been waiting to purchase your first Mini Cooper and are still on the fence, here are five things you are sure to love about the British subcompact. 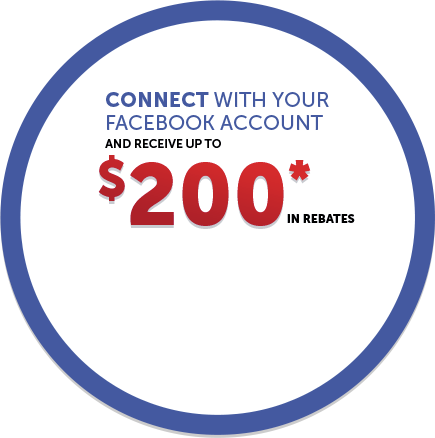 Go through the list and figure out if these are elements you are looking for in your next car. Although the new 2015 Mini Cooper is slightly bigger than the previous generation, it still showcases that unique Mini design that we have come to know and love. Whenever you leave your house in a new Mini, you are sure to get noticed as the car attracts just as much attention today as it did when it first hit the market. The proportions of the vehicle are perfect and that traditional hatchback design looks good from every angle. Handling is at the forefront of Mini, and it is still surprising to this day just how much fun the Mini Cooper is to drive. On a winding road, the driver feels connected to the road and the steering wheel responds quickly and effortlessly to driver inputs. Even when driving in the city, we come to love the Mini’s agility. Parking is a breeze and so is winding your way through traffic. There are three distinct versions of the 2015 Mini Cooper and each of them offer a powerful engine that accelerates without ever talking back. The base 3-cyl 1.5L engine offers 134 hp and 162 lb-ft of torque. The torque is delivered at very low RPM which makes it a breeze to pass, and when leaving a red light, the Cooper simply jumps forward. If you require even more power, then opt for the 2015 Mini Cooper S and its 189-horsepower engine that also offers 207 lb-ft of torque. Finally, the Mini Cooper S John Cooper Works offers a mind-numbing 228 hp! It should also be noted that the 2015 Mini Cooper is also quite fuel-efficient, and that the interior is simply stunning and built from high-end materials. 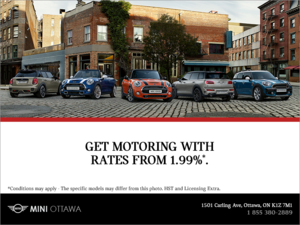 To learn more about the 2015 Mini Cooper, contact us today at Mini Ottawa!